Starting today you can get a messenger on sale for $75 an free shipping online at verabradley.com or in Vera Bradley stores and at participating retailers. What a great deal for back to school! 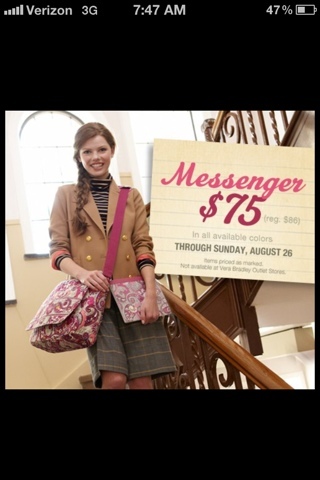 Are you glad Vera Bradley brought back the messenger?